In Australia, stringhalt is apparently caused from horses ingesting toxins associated with grazing of pasture weeds – namely Hypochaerisradicata and Hypochaeris glabra also known as Catsear, Flatweed, Smooth Flatweed and False Dandelion. The toxin or toxins that cause stringhalt in horses are unknown. It is likely that the condition is associated with the growth of a fungus on these weeds. The toxins affect the long nerves in the body. 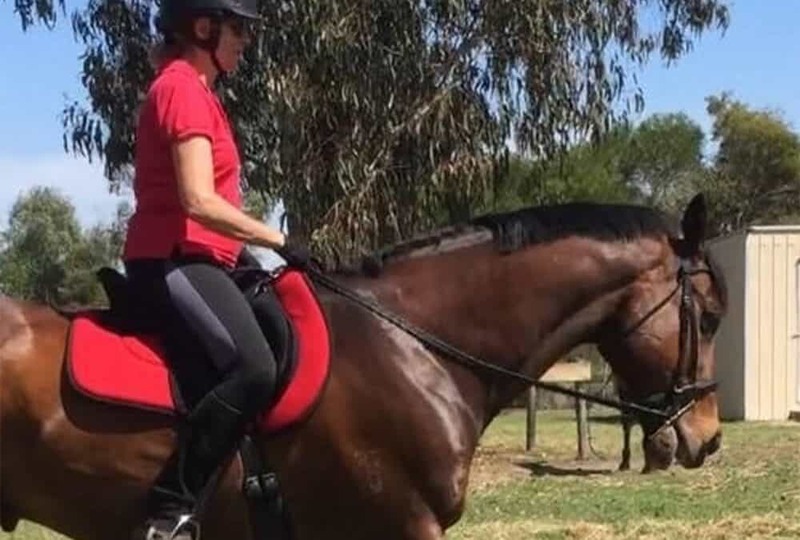 This results in an exaggerated flexion of one or both hind legs, which can be so severe that the front of the fetlock can hit the belly, or the signs may be quite mild. Symptoms are often exaggerated if the horse is asked to back up, or if there is a change of terrain, the weather is cold or if the horse becomes over excited for any reason. Knuckling over on the hind pasterns is also seen in some cases. Stringhalt can also result in partial paralysis of the voice box so that the horse becomes a “roarer”.Horses with stringhalt can usually walk, canter and gallop reasonably well, but they cannot trot properly. I have been prescribing herbal remedies for stringhalt for many years and there is no doubt that they are effective, provided the horses are treated for several months, along with good management and feeding. In the past 18 months, I and one of my colleagues have provided herbal treatment programs for 22 horses suffering from stringhalt including 3 pregnant mares. 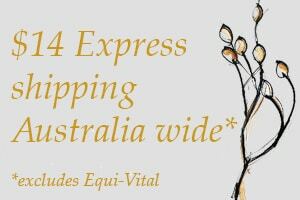 Skye Berry a graduate of the School of Equine Herbal Medicine and an Equine Herbal Practitioner in Armidale NSW has treated 3 mares with stringhalt including one pregnant mare. The pregnant mare was 10 ½ months at the time and she delivered a healthy foal after a month of herbal prescription and was maintained on her natural diet. The two other mares, both mild cases, one an aged Thoroughbred, and the other a Stockhorse Competition mare, both resolved within one month of herbal prescriptions. Of the 18 horses that I treated, 11 showed a significant improvement or a full recovery during their 3 months of herbal prescriptions and natural diet. Of the other 7 horses, I was unable to complete the treatment as the owners did not communicate after 2 months, of these 6 were showing significant improvement in the first month, so I have no way of knowing what the final outcome was for them. Two horses which required treatment for six months were both heavy horses. Two of the eleven which showed significant improvement are pregnant mares, both of whom are due to foal soon. Fortunately there was plenty of time to work on them and the owner is truly excellent to work with. Good communication is key to achieving good outcomes from herbal or any other treatment. I was fortunate to be able to treat a local mare for this problem, and the owner phoned me the instant the symptoms were noticed and I went to see her straight away. They were incredibly severe with the mare lifting her legs so high and to one side that she was almost falling over and would not walk at all. Another terrific owner who did everything she was asked and improvement was seen within 24 hours of treatment starting. This mare received the full herbal treatment program and diet and is now back enjoying pony club with her young rider. The longer a horse has any health problem the longer it takes to fix it, so delaying in seeking treatment is a big mistake. Horses with chronic stringhalt will often begin to knuckle over on the hind fetlocks which causes injuries to the pastern and fetlocks from which they will never recover sufficiently to become sound. Chucking them out in the paddock for “as long as it takes” is not an option, and cold weather and lack of good nutrition worsens the condition. The herbal remedies I use to treat stringhalt are prescribed for each individual horse as is their nutrition program through my consultation service. For more stringhalt VF herbal treatment success stories go to www.victoriaferguson.com.au/blog. Select Stringhalt from the Menu.